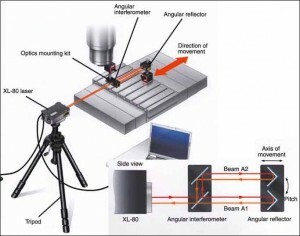 The units of angle measurement are a fraction of a complete circle. The decision to divide a circle into 360 degrees is arbitrary, any number could be used, but once a number is agreed no further reference standard is required. Angles can be derived from principles of geometry, no reference standard is required. For example a triangle can be constructed with lengths of 3, 4 and 5 units long to find perpendicular lines using any object which gives a consistent length. Another approach to finding a right angle is to is to sight along markers and then to reverse the direction of sighting, this approach can be applied using a simple surveying instrument called the Groma. 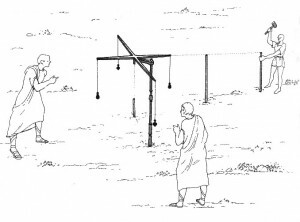 The Groma was used in Babylonia, Ancient Greece, Ancient Rome and Medieval Europe. 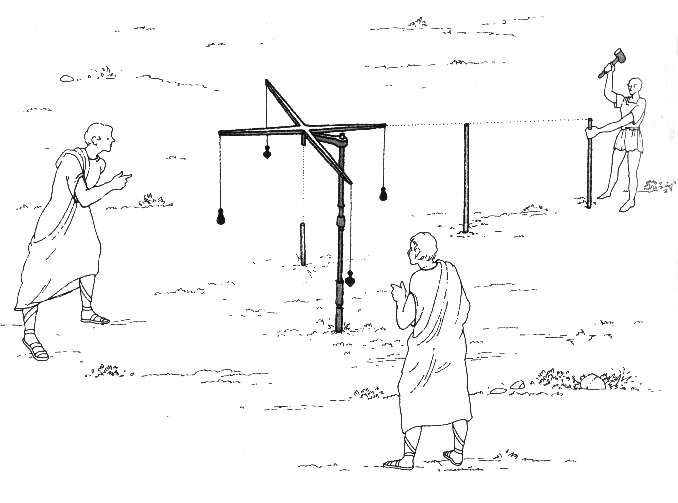 The surveyor would measure straight lines and right angles between sighting rods in the ground by sighting along plumb lines suspended from the Groma. It is possible to demonstrate the self-compensation and use of a Groma with a simple experiment to make a Groma from cardboard and drawing pins. The development of surveying instruments has involved repeating circles, theodolites, glass scale angle encoders and rotary tables. 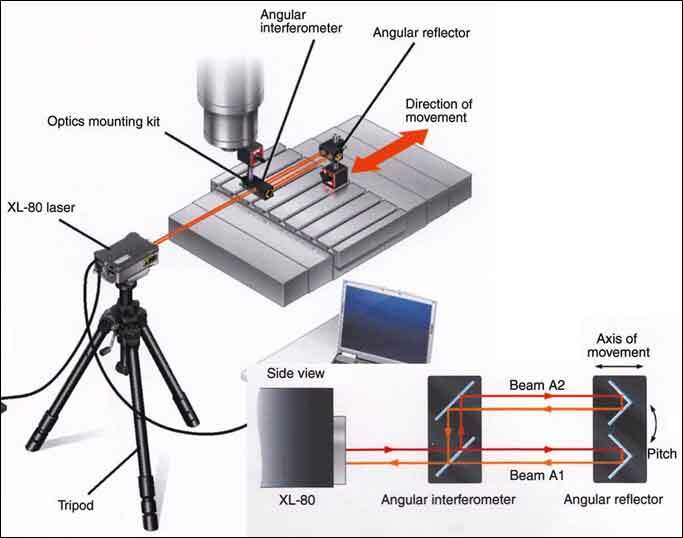 Smaller scale accurate angle measurement has developed using sine bars, angle blocks and angle interferometers.